Being out in nature and sharing activity outside is something which brings immediate benefits to people living with dementia and we believe is a crucial part of “living well”. The outdoors is the original multi-sensory environment and we don’t need to be taught or learn how to connect with it. It is free and on our doorstep our entire lives, regardless of where we live. As little as five minutes out in nature – often referred to as a “dose of nature” (Barton and Pretty, 2010) – can offer clear benefits for a wide variety of people including improved self-esteem and improved mood. Green exercise can enable those living with dementia to feel well and experience a “dampening down” or absence of their dementia-related symptoms. In fact, the simple act of walking is important for all of us to feel well, forget about our illnesses or troubles and remain active. Regular contact with nature and the outdoors, and the stimulation provided with each season, can help a person with dementia orientate themselves in time and place which is calming and can reduce confusion and frustration. It is also an ideal way that families can spend time together with their loved ones, reconnect and manage their own health and wellbeing. Many family carers that support someone living with dementia may not have good health themselves. Changes in their normal activities can negatively impact on their wellbeing and physical health and lead to increasing isolation. By participating in outdoor activities they too can live well and add structure to their lives in the form of regular pastimes. So in what ways can you enjoy spending time together? Many organisations across the UK run healthy walk schemes including walks specifically for those living with dementia.They are free to attend but individuals should come with a carer or someone who knows them well. The walks tend to be suitable for people of all abilities and take place on wheelchair-friendly paths. Most last about an hour and involve walking, chatting, reminiscing and appreciating nature. People often stay for refreshments afterwards, so why not take a picnic lunch with you to make the most of this time outside? Dementia Adventure runs a number of schemes across the country and is working with organisations like Age UK, Wildlife Trusts and some local authorities to deliver more. 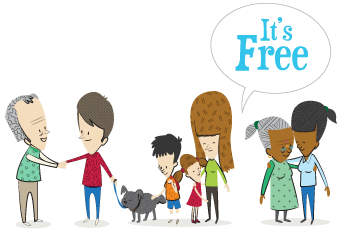 Alternatively visit www.walkingforhealth.org.uk to find an activity local to you – if it’s not listed as “dementia-friendly”, it is always worth talking to the local organiser to see if they can accommodate you. Visiting your local park is still a great option as there are a number of things you can do yourselves that can be shared and enjoyed once you return home such as taking photos of the person with dementia out in nature or capturing their thoughts about the experience either through film or by recording their voice (using a smartphone is ideal). Collect souvenirs such as pine cones, leaves or grasses, as natural physical reminders or note the sightings of trees, flowers, birds and animals as these can often trigger memories or personal connections. If an outing is too much to handle logistically, then don’t forget that you can do all these activities within a garden space providing just as much enjoyment for all involved. For those who are less able to go outside, you can bring nature indoors instead. For instance, what can you see from the window? Move their bed or chair to get a better view, if needed. Even if it’s a blank wall you can add some interest and movement such placing a bird feeder, a hanging basket, or planting an outdoor tub. If they can’t see outside, position a plant in view with a nice smell or foliage or even a picture of an outdoors place they would like to visit. Nature Boxes: Put together a simple box containing a mixture of sensory items related to nature or the outdoors as a focus for talking and sharing memories. The different objects can be used to find out what your family member enjoys doing outdoors. They can also be used as a talking point to encourage and inspire you to visit places where there are things they might like to see or do. Nature-themed arts and crafts: You could, for example, make a bird-box – Easy-to-assemble kits can be bought from craft stores or online. You can then paint it and talk about the birds that may use it. Do hang the box in a place where it can be viewed from indoors. Growing things indoors: Plants of all types provide clues to seasons, whether it’s the time of year they are planted or in full bloom, or when they have distinctive seeds or fruits. Use plant-based activities throughout the year to help them relate to a time period or season, or to help trigger memories. 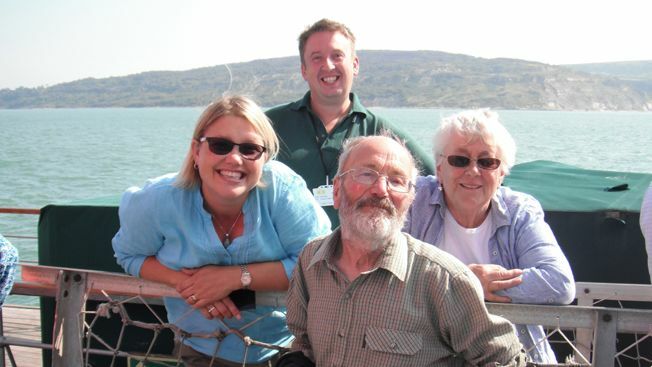 People living with dementia and their carers can often feel that sharing a holiday with each other is something that can no longer be achievable. However, supported holidays allow carers and people living with dementia to enjoy holidays together by taking away the barriers that can make holidays and breaks a logistical nightmare. They offer one-to-one assistance for both carer and person with dementia – someone who has been trained in understanding and managing the needs of a person with dementia. With all the logistical arrangements taken care of and an itinerary created that suits everyone’s needs, both the carer and person with dementia can concentrate on themselves and each other. The outdoor activities chosen are always assisted and are as physically challenging as each person can achieve. Dementia Adventure is a social enterprise and registered charity committed to helping people living with dementia get outdoors, connect with nature, themselves and their community, and retain a sense of adventure in their lives. Our Park Walks programme is currently supported by players of the People’s Postcode Lottery. We also design, plan and deliver bespoke, small-group holidays and short-breaks for people living with dementia and their carers to enjoy together. We support people with trained staff and volunteers, and offer this as an alternative to traditional respite. “Dementia Green Care Handbook” by Chalfont, Garuth and Alex Walker,Chalfont Design at www.chalfontdesign.com is free to download and focuses on design for nature and the outdoors in dementia care. “No Limits: Re-imagining Life with Dementia” (Agnes & Nancy Film).Excellent film by Anne Milne. Commissioned by Ruth Barlett (University of Southampton) and Caroline Hick (University of Bradford) as part of the ‘No Limits – Re-imagining Life with Dementia’ exhibition 2011. If you’d like to know about our new articles when we publish them simply sign up for our regular newsletter by joining the family in the box below.